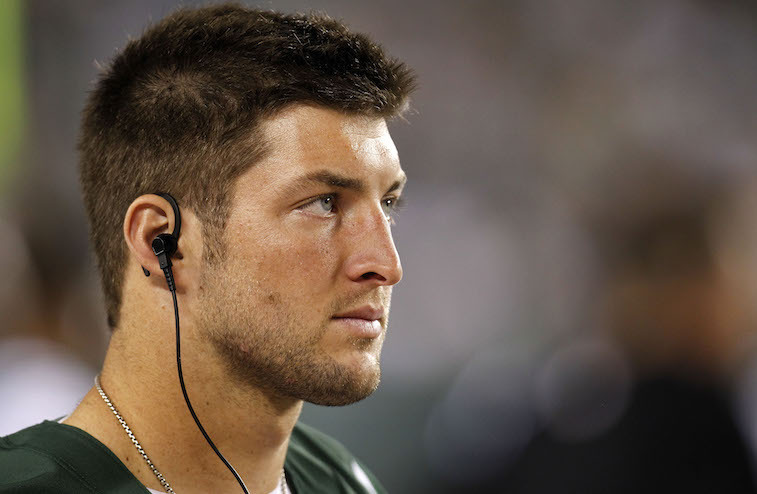 Tim Tebow is one of the most polarizing athletes America has ever seen. The 6-foot-3, 235-pound quarterback has seemingly had a camera following his every move ever since he arrived at the University of Florida in 2006. He left the Gators as a Heisman Trophy winner, two-time national champion, and the most popular player in program history. As a true dual-threat quarterback, Tebow received mixed reviews as a professional quarterback prospect leading up to the 2010 NFL Draft. In fact, many scouts and analysts believed his only shot at having a lengthy NFL career would be to change to a position such as tight end, H-back, or linebacker. With that being the case, Tebow was projected by most experts to be a third or fourth round draft pick at best. As it turned out, Tebow did enough to convince then-Denver Broncos head coach Josh McDaniels that he was not only good enough to play quarterback in the NFL, but that he was also worth using a first round draft pick on. After a run in Denver that could be described as nothing short of wild, Tebow’s NFL career took a serious turn for the worse when John Elway took over personnel operations for the Broncos. 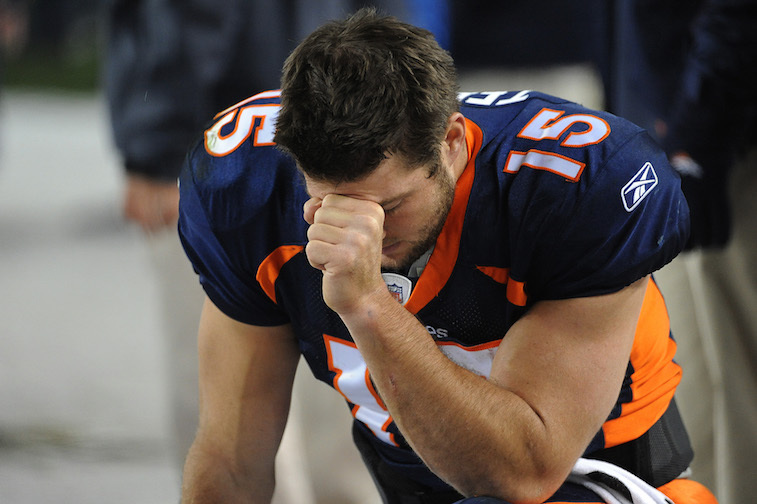 After leading the Broncos on a highly improbable playoff run in 2011, Tebow was traded to the New York Jets, and has yet to start another NFL game. After one season with the Jets, and a training camp stint with the New England Patriots, it looked like Tebow’s days of playing in the National Football League were as good as gone. That was until Philadelphia Eagles head coach Chip Kelly sent shock waves through the football world by signing Tebow to a one-year contract in late April. The decision to add a player that could be as distracting as Tebow was head-scratching, to say the least. Will Tebow beat out Sam Bradford or Mark Sanchez to be the Eagles starting quarterback? Probably not. Do the Eagles have room on their 53-man roster for three quarterbacks? Possibly, but does Kelly really want to be the coach answering questions from the media regarding his third-string quarterback all season? Probably not. So, what type of role will Tebow have with the Eagles? We have a few ideas. It was recently suggested that Kelly chose to sign Tebow to serve as nothing more than a “human shield.” The third-year Eagles head coach now has full control over personnel decisions, and he wasted little time in making several controversial moves. As we previously mentioned, practically anytime Tebow steps onto a football field, he can’t escape he has every camera in sight zoomed in on him. If you’re someone who believes in conspiracy theories, you may believe that Kelly brought Tebow on board simply to use the 2007 Heisman Trophy winner to deflect some of the media attention off of his wild first offseason in charge of personnel decisions in Philadelphia. The more likely role for Tebow in Philadelphia – if he makes the team – would be a combination role as the team’s third-string quarterback, red zone specialist, and two-point conversion specialist. To be brutally honest, Tebow has about as much of a chance at being the Eagles’ starting quarterback as Ron Jaworski. While we would be shocked if he ever starts a game for Philadelphia, Tebow does bring excellent red zone and short-yardage skills to Kelly’s offense. Couple that with the league’s new PAT rules and Kelly’s aggressive nature as a coach, and there is a very real chance that Tebow could resurrect – no pun intended – his NFL career with the Philadelphia Eagles.